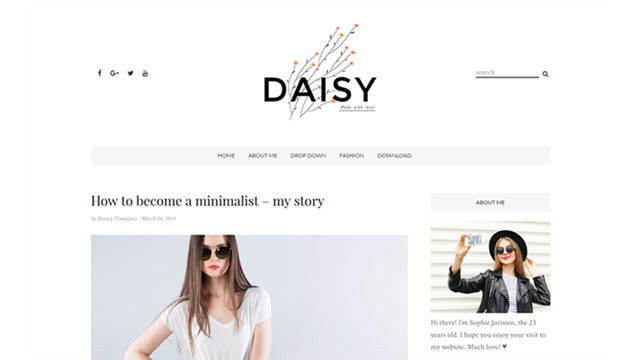 Description: Daisy - A Clean & Personal Blogger Templates is a exclusive, simple, clean, modern, professional and personal blogger template ideal for spreading stories. It’s totally responsive so it adapts to your style as well as the device it’s viewed on. This Template is best suited for sites that deliver news about Fashion, Craft, Beauty, Travel, Lifestyle, Recipe etc.